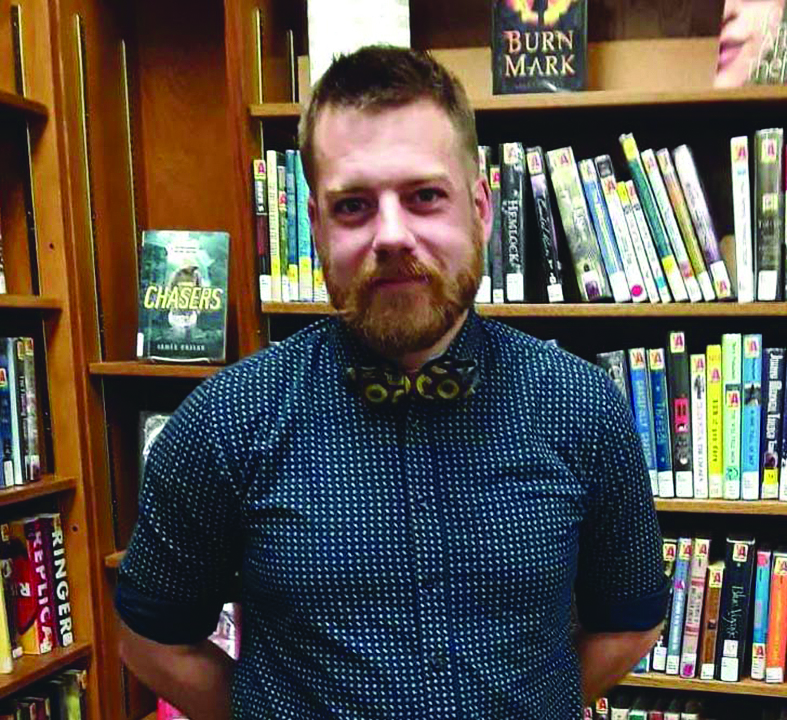 Garrettsville - During a special meeting held in late October, the Portage County District Library’s Board of Trustees appointed Jonathan Harris, currently the manager of the system’s Aurora Memorial Library branch, as the new library director. Harris succeeds Cecilia Swanson, who announced her plans to retire earlier in the year, after having served Portage County residents for nearly 25 years. Swanson’s last day will be November 30. Harris initially began his career in public libraries as a part-time page for Medina County District Library, a system of which his father was library director. This being the case, it gave Harris a significant sense of pride when telling him he’d been appointed as the new library director of PCDL. He then moved on to work as an associate in the children’s department at Mentor Public Library, and soon afterwards earned his master’s degree in library and information science from Kent State University. From there, Harris moved into a position with the North Canton Public Library as head of its young adult services. In addition to this project, Harris made registering every first-grader within the community with a library card a priority. He’s also been active with Aurora’s Chamber of Commerce, Recreation & Parks, and the community’s Rotary Club, all of which coincides with his vision of gaining more community involvement. “I would like our communities to understand that PCDL is their library,” says Harris. He’d like to position the library into being asked by other organizations to partner with them for special events or projects. Regarding his vision and plans for the six branch library system with an outreach services department, Harris would like to build upon the system’s strategic plan, work to promote job training and placement, assist other organizations in combating the opioid epidemic, and will strive to continue positioning the library system in leading the charge for providing literacy resources, continuing to support Portage County residents in their pursuit of lifelong learning. Being a librarian first and foremost, Harris does, of course, have a favorite book. It’s The Sparrow by Mary Doria Russell (a favorite author as well). He also enjoys camping, hiking, cycling, and the film “Charlie Wilson’s War” is a favorite watch. Outgoing library director, Cecilia Swanson, shares: “It has been a pleasure and an honor to have served Portage County and to have worked with such a great staff.” While under Swanson’s leadership, PCDL has been dedicated to providing the resources and services that would offer the most benefit to Portage County residents.